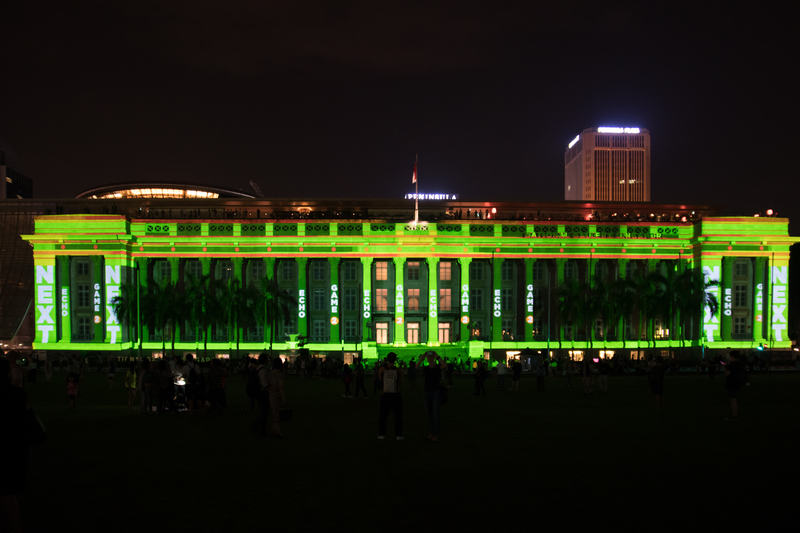 Not to be confused with Marina Bay’s i Light festival or the Singapore Night Festival, the second edition of the Light to Night Festival, which is currently ongoing until 26 January 2018 as part of the Singapore Art Week, spans Singapore’s historic Civic District, from Esplanade Park to Padang and all the way to the Asian Civilisations Museum. 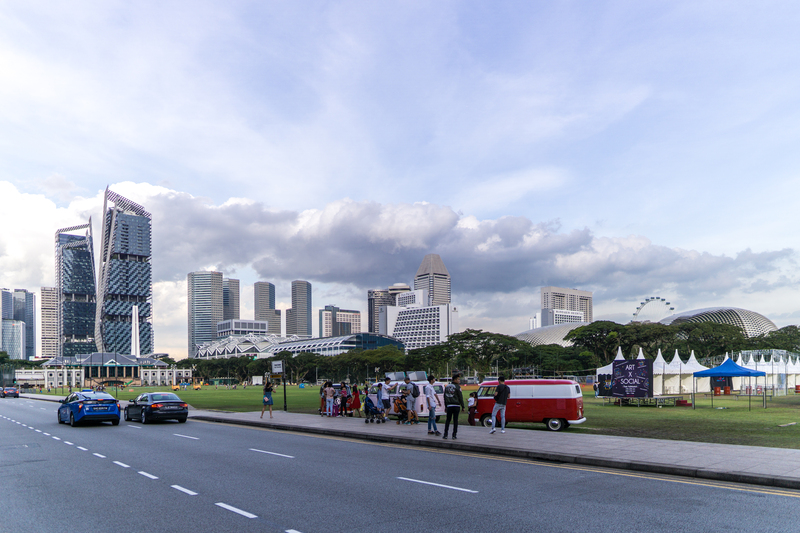 The Civic District refers to the area around City Hall MRT, bounded by the Singapore River and the durian-shaped Esplanade. 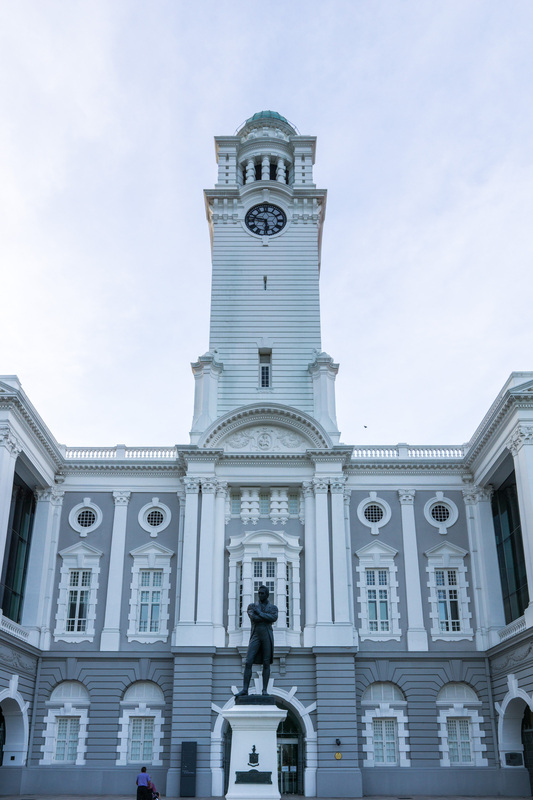 Formed as part of the Raffles Town Plan in 1822, it houses historic landmarks like the Old Parliament House (now the Arts House), Asian Civilisations Museum (former Empress Place building) and the National Gallery (former Supreme Court building). 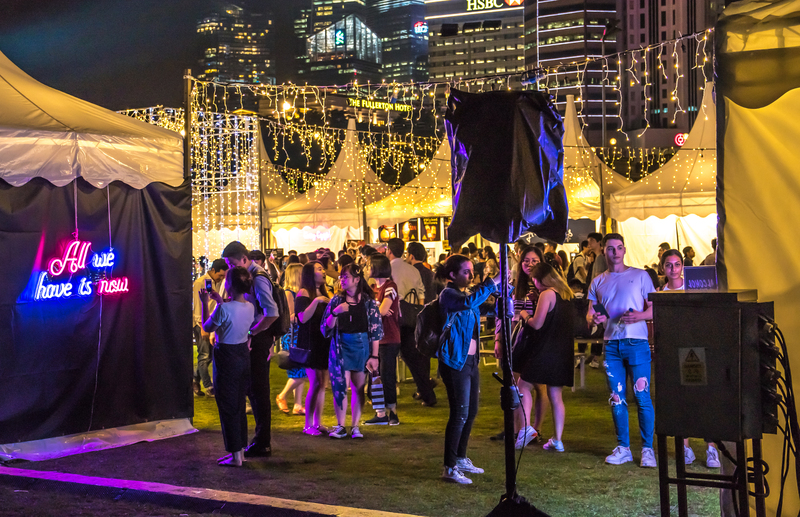 In a time where there are snazzier places to be at for the weekend, such as Orchard Road, Marina Bay or the Sports Hub, the Civic District is one of the few places in bustling Singapore where, along certain sections, you can still find a semblance of peace and tranquility. The nearest train station is City Hall MRT. After exiting the gantry, turn left and exit through the St. Andrew’s Cathedral exit. Once up the escalator, turn left and follow the sheltered walkway. 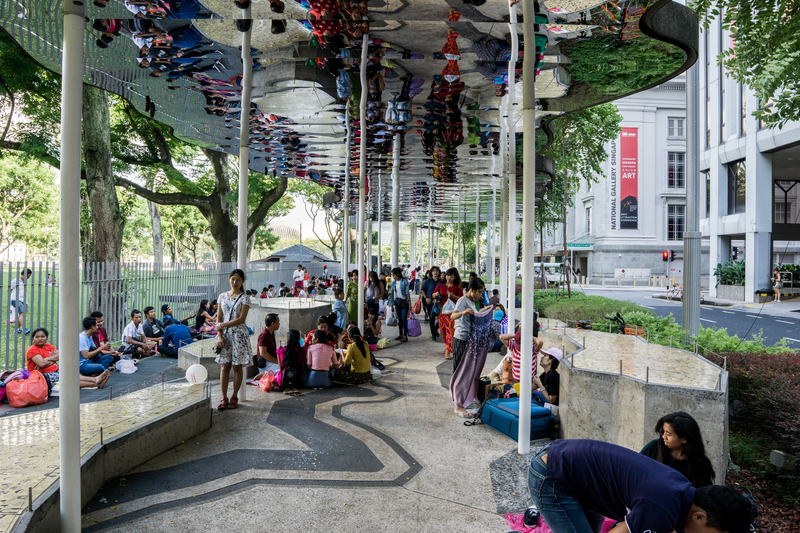 The walkway itself is bustling with activity, with many groups of people laying down their mats along the sides, a spillover from the neighbouring St Andrew’s Cathedral. Most of these people are probably Burmese, seeing how it is situated right opposite Peninsula Plaza, which is the ‘Little Burma’ of Singapore. 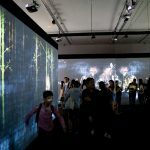 The walkway leads you to the National Gallery, where all the show exhibits are free to the public from 19-21 and 26-28 January. 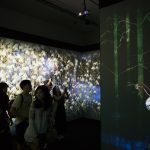 The most popular exhibit, it seems, is the “Walk, Walk, Walk: Search, Deviate, Reunite” exhibit by teamLab, where there was a sizeable queue on the Saturday night I was there. 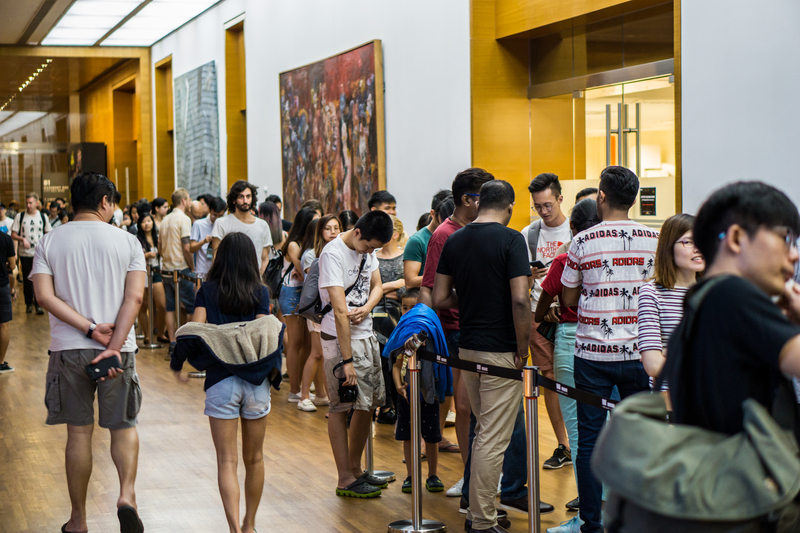 I managed to check it out on the following afternoon, when the queue was shorter. 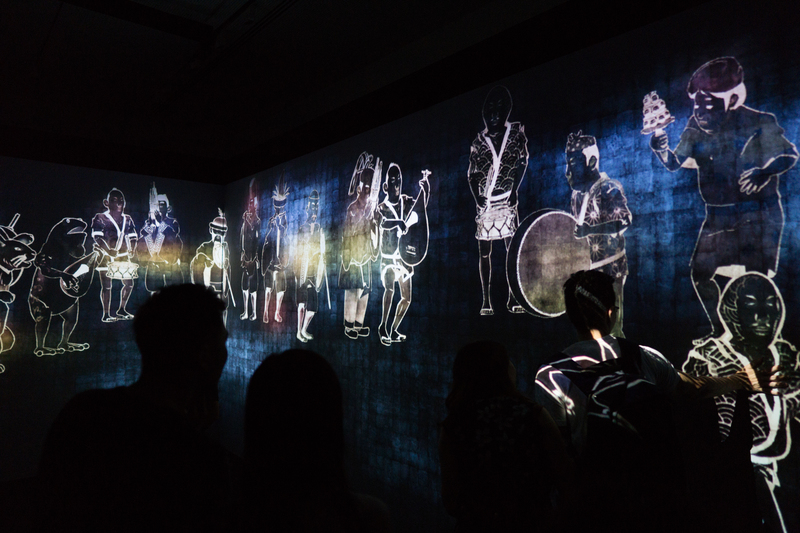 The exhibit is basically a dark room filled with projected images on the wall. 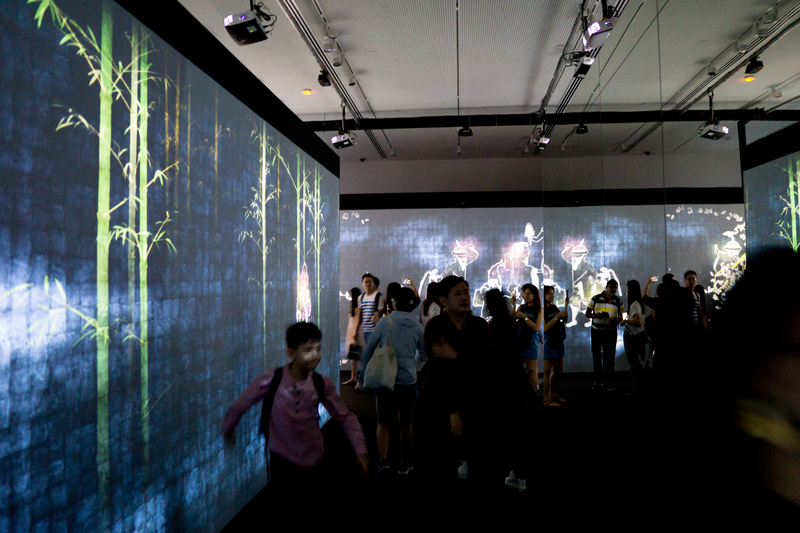 The highlight of this exhibit are the virtual characters on the wall. 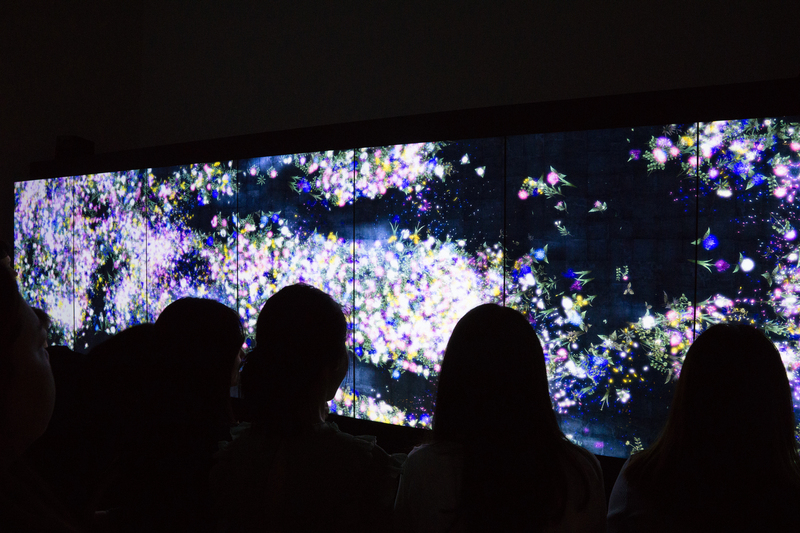 When you touch the figures, they may react to your touch, by stopping or changing directions for example. 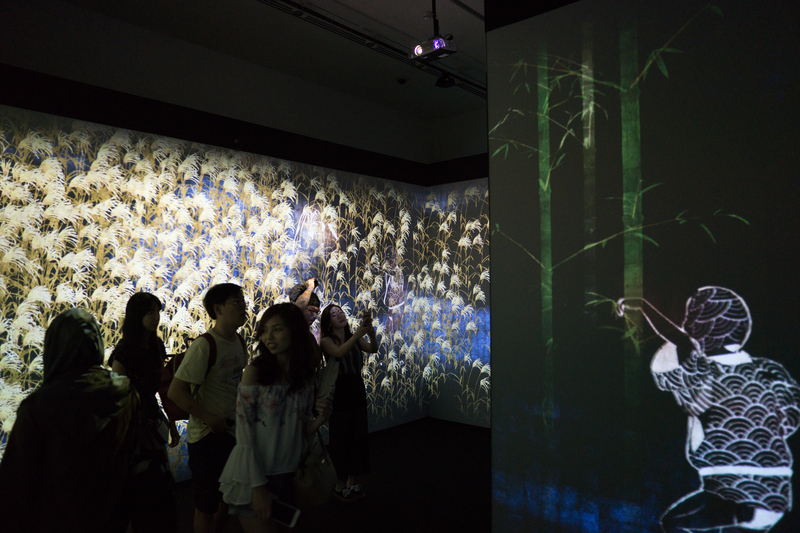 The purpose of this exhibition is establish ‘the make-believe world between the real and unreal’. Unfortunately, in my limited time, I wasn’t able to espouse a reaction from the characters I touched. 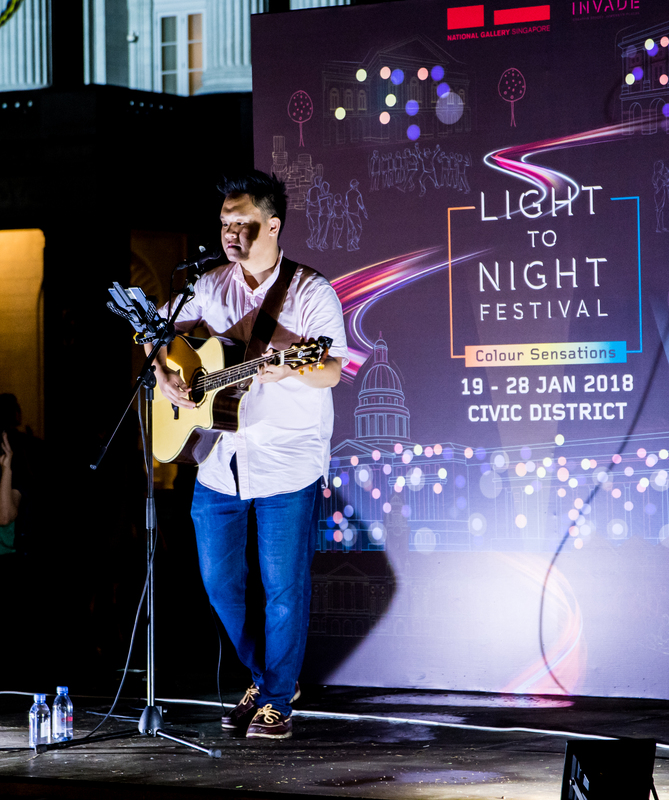 At night, there were also performances from local acts such as Charlie Lim (above) at the atrium, from which we can observe that the local music scene is actually thriving (thankfully!). Just look at the crowds about ten minutes he took the stage (and this was just one side of the atrium). 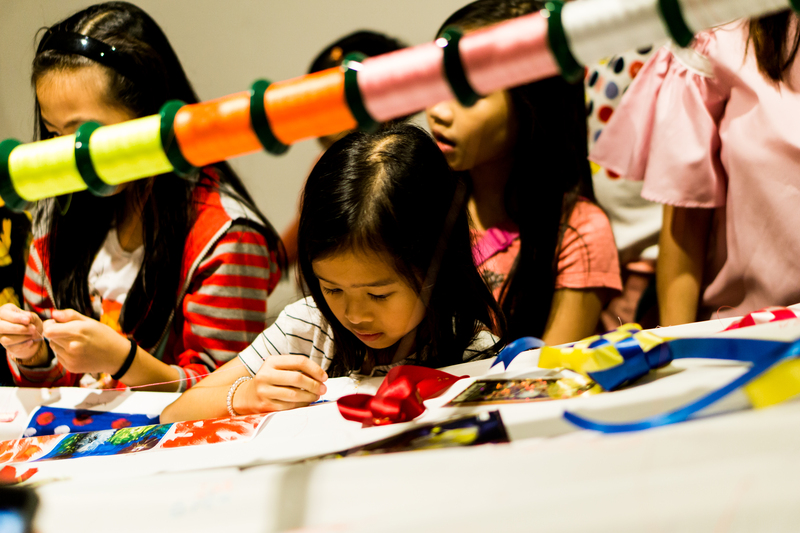 At another part of the National Gallery, there’s also “A Stitch in Time” where participants are encouraged to stitch something onto the white cloth using coloured threads. 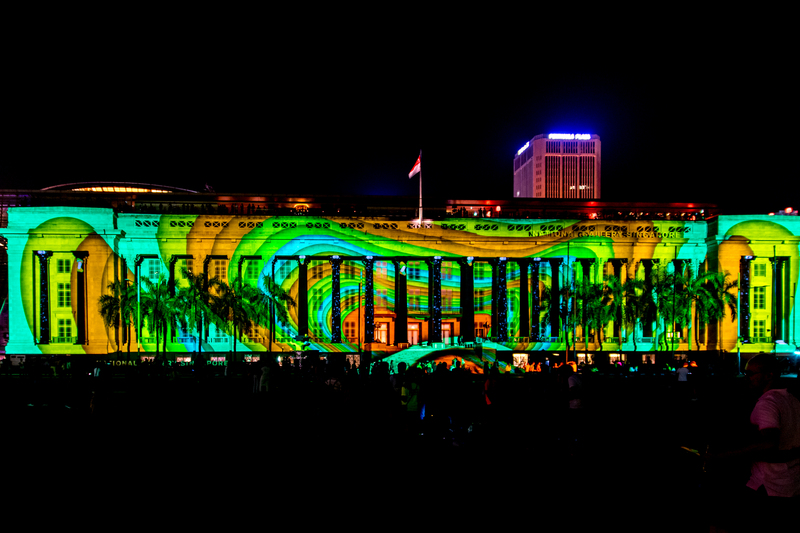 The star attraction of this festival, though, is without doubt the light show at the Padang. 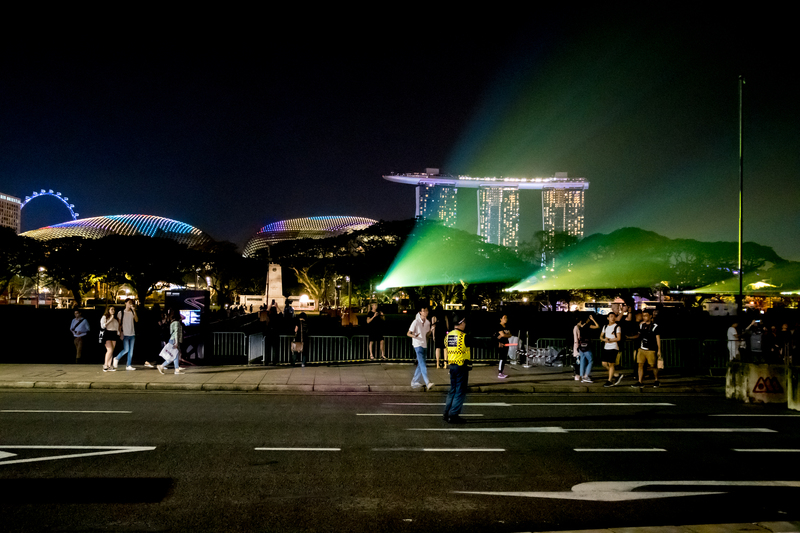 During this period, the Esplanade’s husk is decked in full, flowing colours. 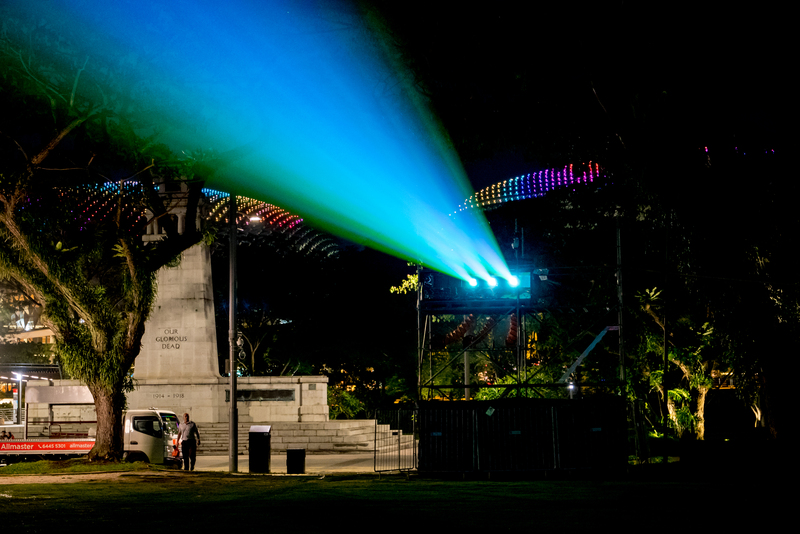 At the end of the Padang closest to the Esplanade you’ll see multiple projectors beaming light across the ~250-metre width of the Padang. That in itself is a sight to behold. 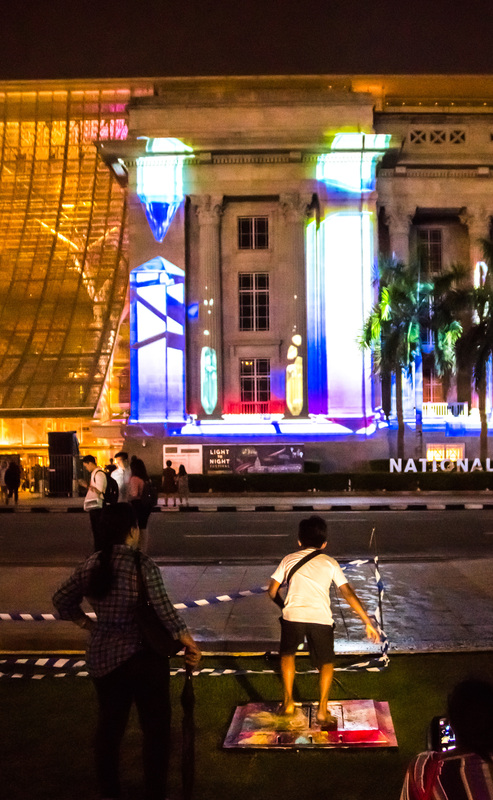 The purpose of these projectors are to project these eye-popping visuals across the facade of the National Gallery. 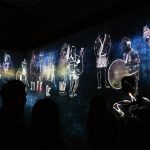 These visuals are interactive and apparently you can influence the projected visuals by stomping on certain pads spread across the Padang. 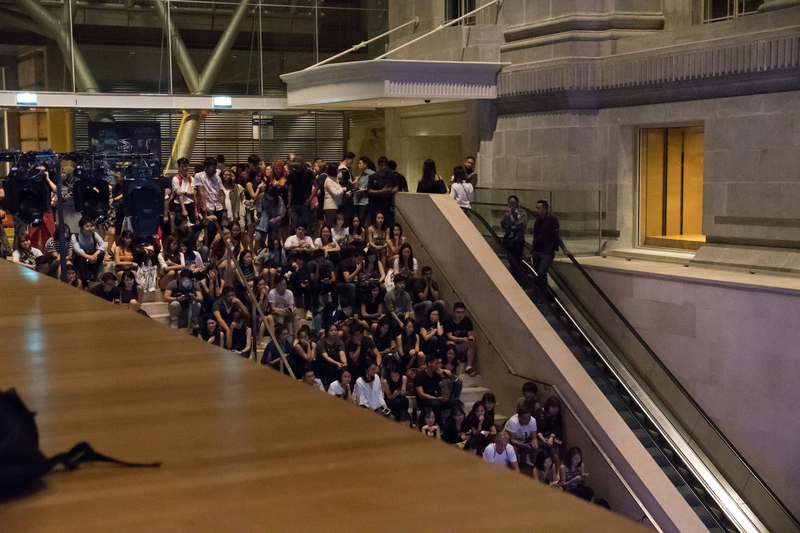 From what I observed, every minute or so, a game begins where participants stomp the pad as quickly as they can to fill up a bar that’s projected on one of the many columns of the National Gallery. The person who fills up the bar first wins, though I’m not sure how the visual changes accordingly. Whatever the case, it’s a clear hit with the kids. 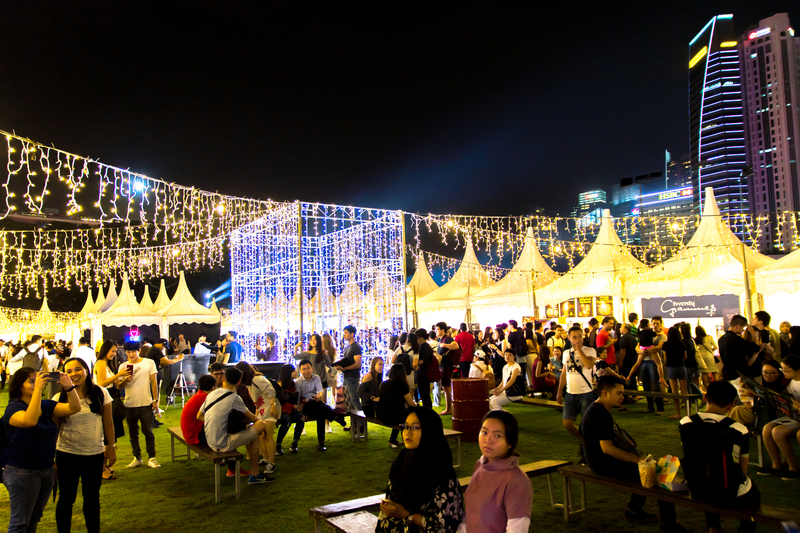 Of course, there’s also the obligatory pop-up market, which is fast becoming a staple in such events. I wonder how many more of these markets we’ll have before we experience pop-up market fatigue. 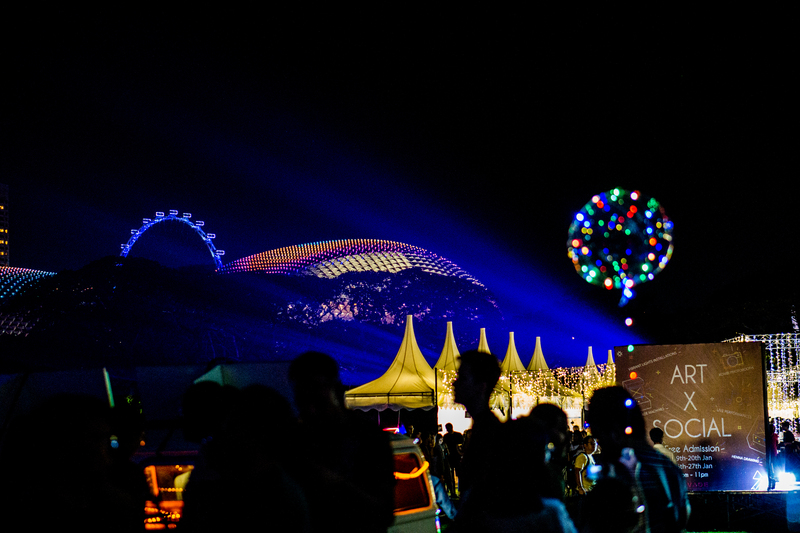 Over the past year alone, off the top of my head, we’ve had Artbox, River Hongbao, i Light Marina Bay, Hari Raya Bazaar, DBS Marina Regatta, Christmas Wonderland, the Christmas Village outside Ngee Ann City, and the ongoing carnival at Marina Bay (for which the novelty seems to have worn off in January, with little crowds even on a Friday night–but that’s a story for another article). 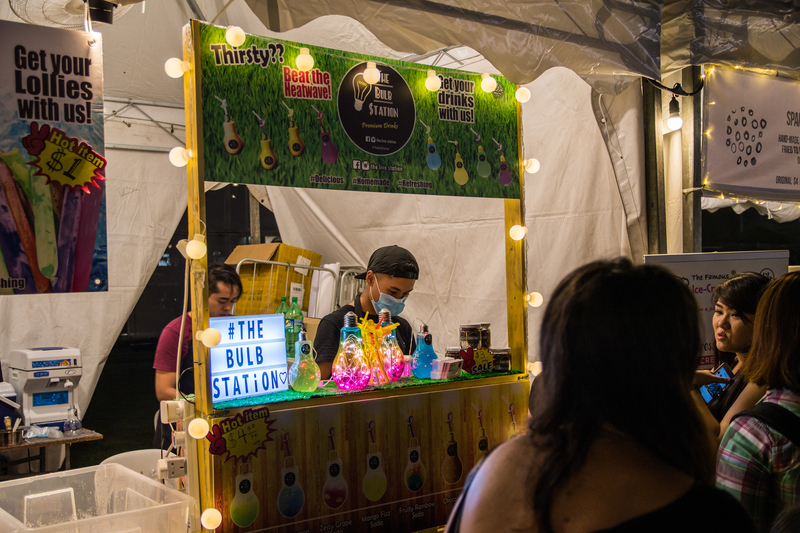 The potential problem I see with these pop-up markets are twofold: one, they are expensive; and two, the vendors are by and large the same. Though, I guess there’s nothing much one can do about the situation, not with the high rentals charged by the organisers. For now, though, there’s no imminent threat to their survival. 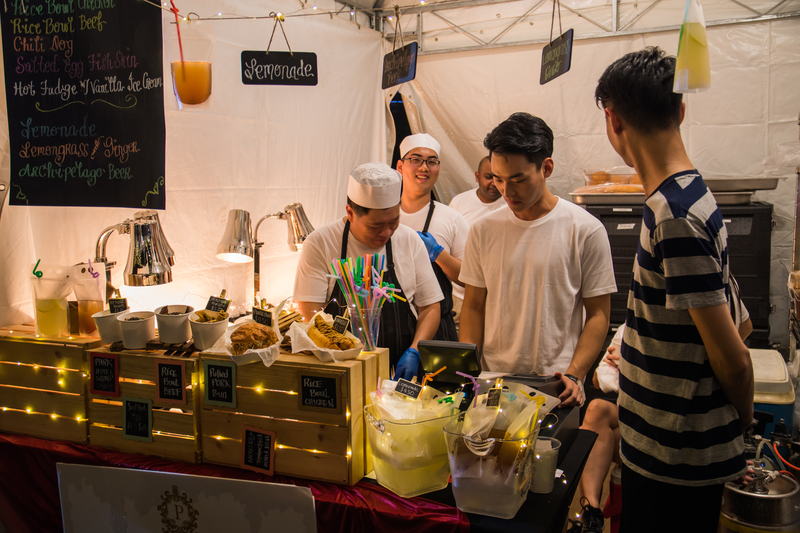 The place is teeming with crowds, and we can safely assume those stalls selling food would finish the event with a tidy profit. ‘Artisanal’ food and drinks are a given at such bazaars, though they’re fast becoming same-old, same-old. Though, nothing much for them to worry about at this point in time. 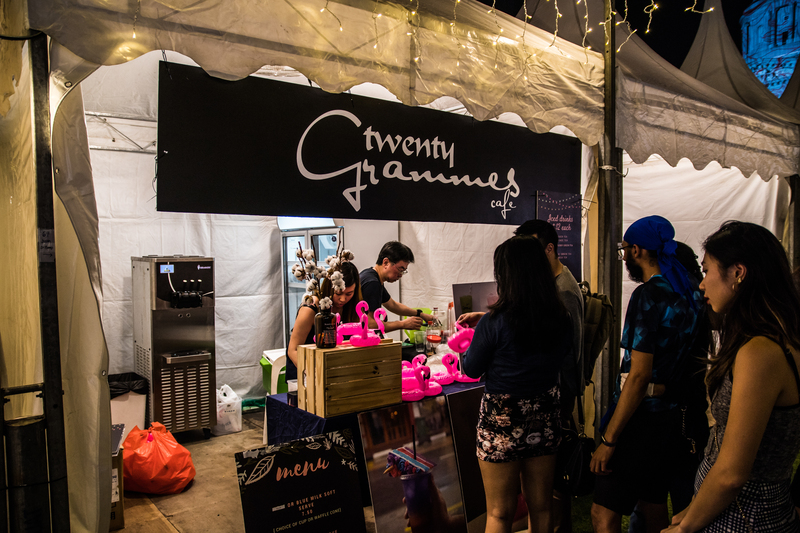 There was a long queue for the Twenty Grammes Cafe stall, though I wonder if it’s because the food’s really good, or because they’re selling drinks at just $2 (which is a steal when put in context). It’s a different story for the stalls not selling food, where crowds are few and far between. Perhaps for them it’s just the exposure they need. 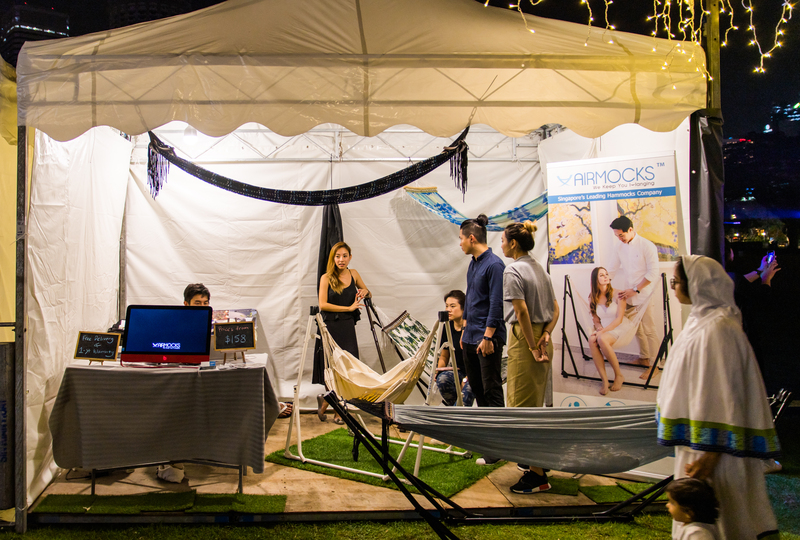 I’ve seen Airmocks in various such bazaars now, and I may just remember them if ever I am in the market for a hammock. 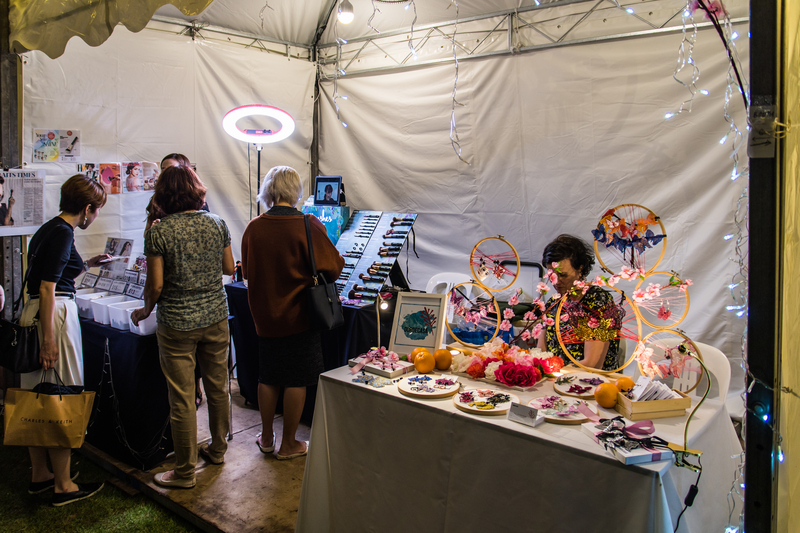 Among the other non-food stalls I observed was a shop selling cosmetics (above), and a stall selling customised lingerie (not shown above). One of the more interesting things I spotted at the market is a booth with old-school arcade games. 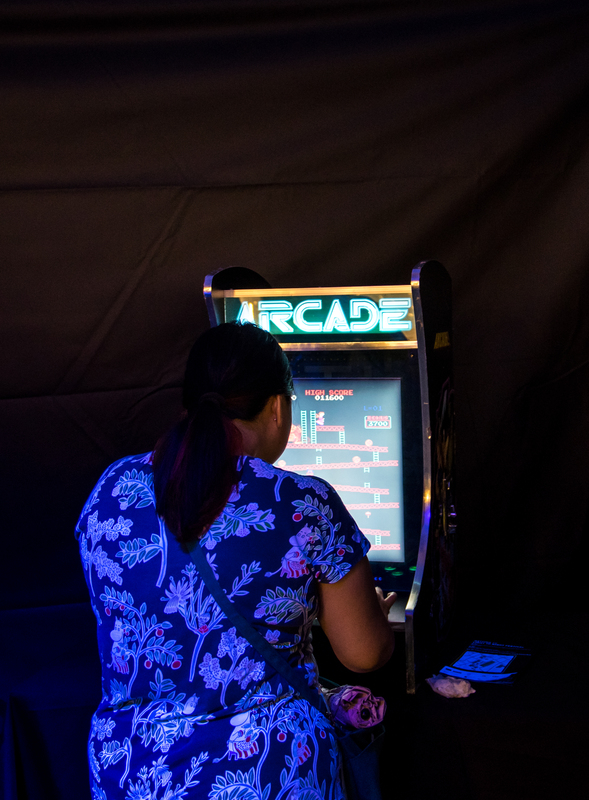 I doubt there’s any actual old hardware, but the arcade cabinets managed to successfully emulate the look of old-school technology, like the washed out CRT screens of yesteryear. 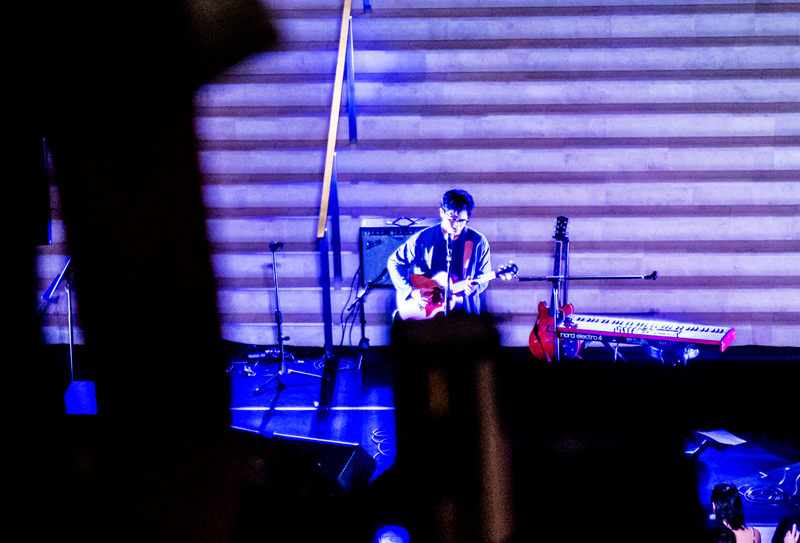 There was also a stage at the end of the market, set against the backdrop of the old Supreme Court’s dome. 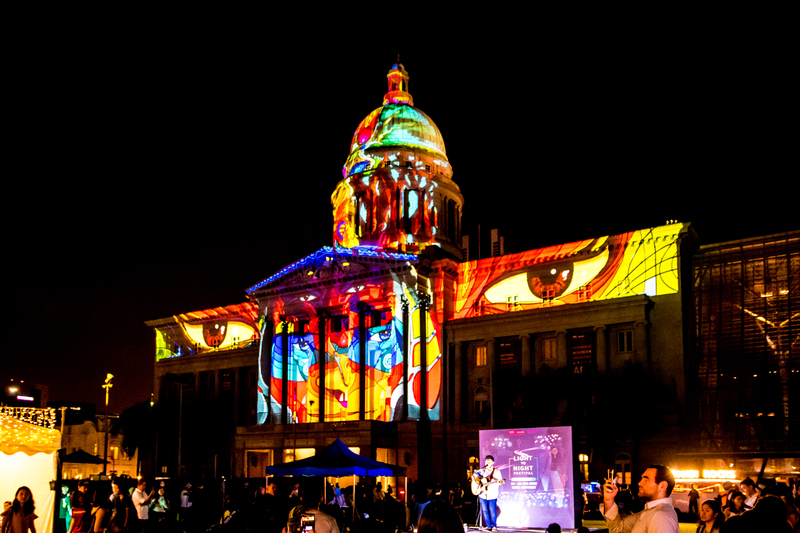 The visuals on the dome are even more eye-catching (no pun intended) than the projections on the other side of the building. 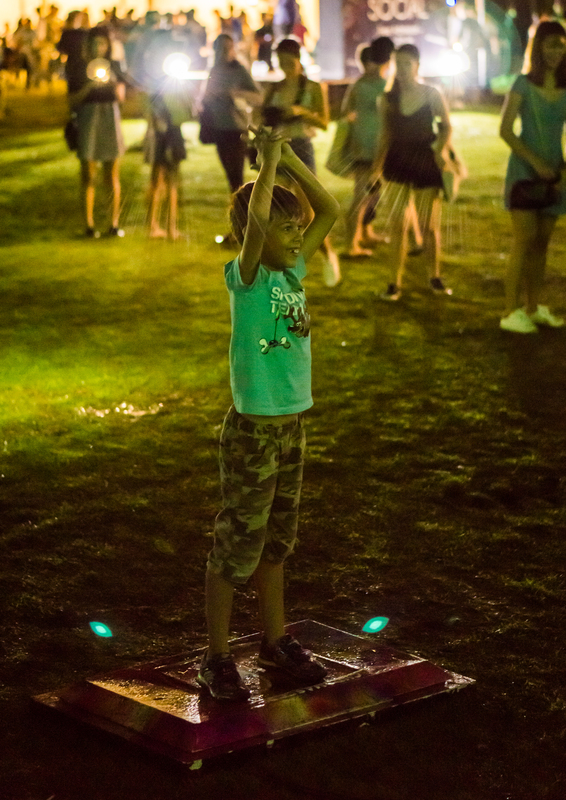 @thepudgybusker was the performing act on the first night I was there. I loved his rendition of “Wonderful Tonight” by Eric Clapton. 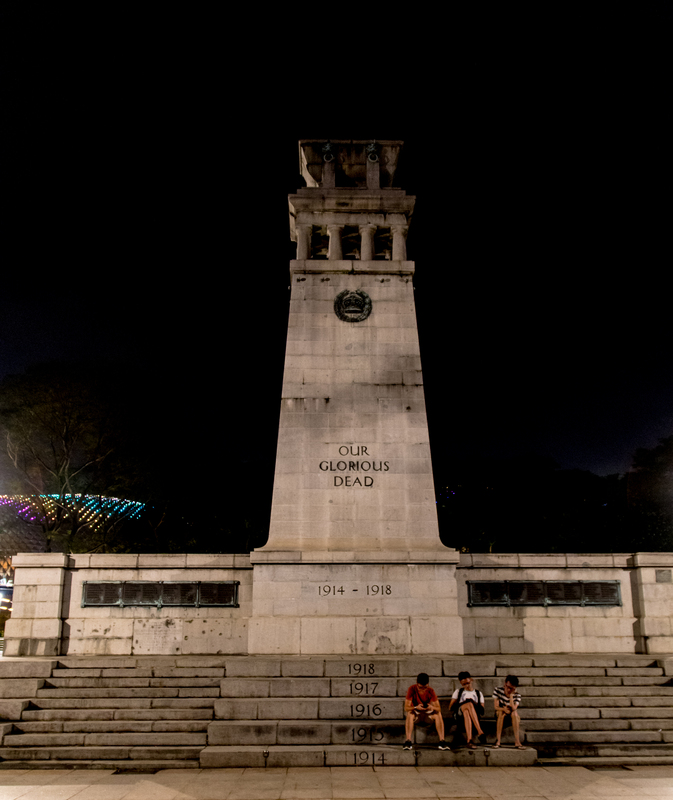 Walking towards the rear of the Padang, you’ll come across the Cenotaph, a war memorial to commemorate those who fought in the two World Wars. No special performance there, but it’s a landmark worth highlighting. 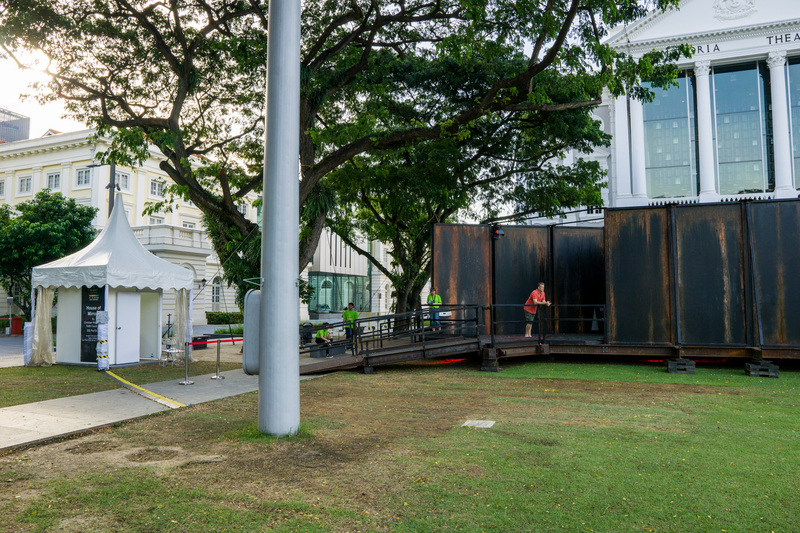 If you venture beyond the Singapore Cricket Club (situated on the right side of the Padang), you’ll end up at the Arts House and then to the Empress Lawn, which is a large open space right outside the Victoria Memorial Hall. There, you’ll find the House of Mirrors (entrance shown above). Entry costs $2 so I didn’t bother checking it out (FYI: the Science Centre has a probably much cooler Mirror Maze that is free-of-charge for Singaporeans). 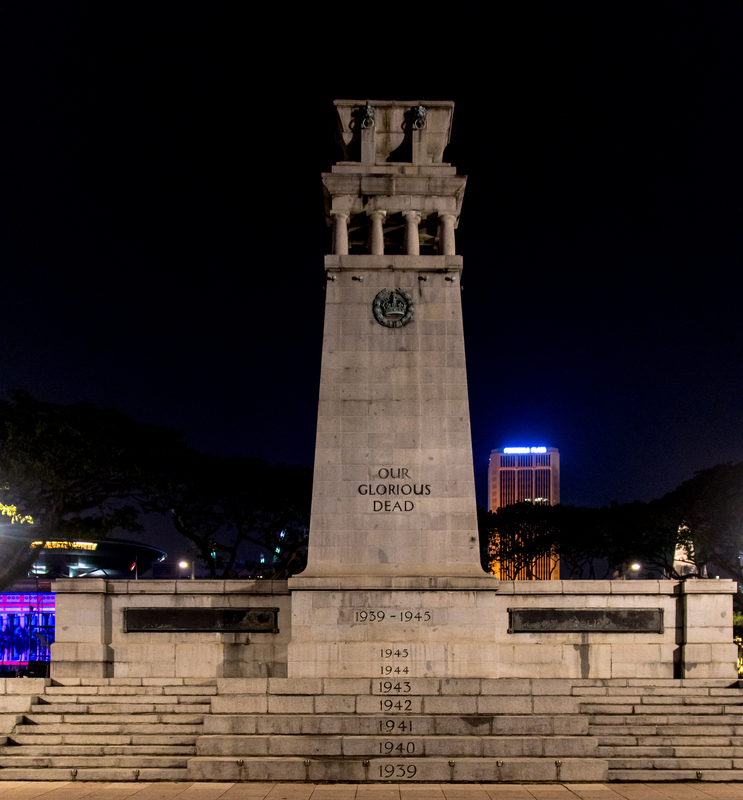 If you’re in the vicinity, perhaps you may want to check out the original statue of Sir Stamford Raffles, located right outside Victoria Memorial Hall and sculpted in 1887. 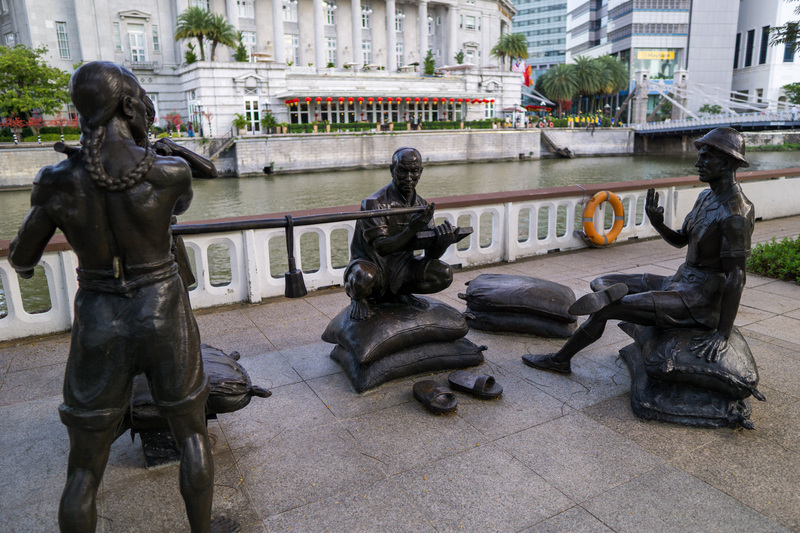 I ended off my tour of the Civic District (on the third consecutive day) by walking along Queen Elizabeth Walk (which faces the Singapore River), then through the Esplanade Park to reach City Hall MRT. 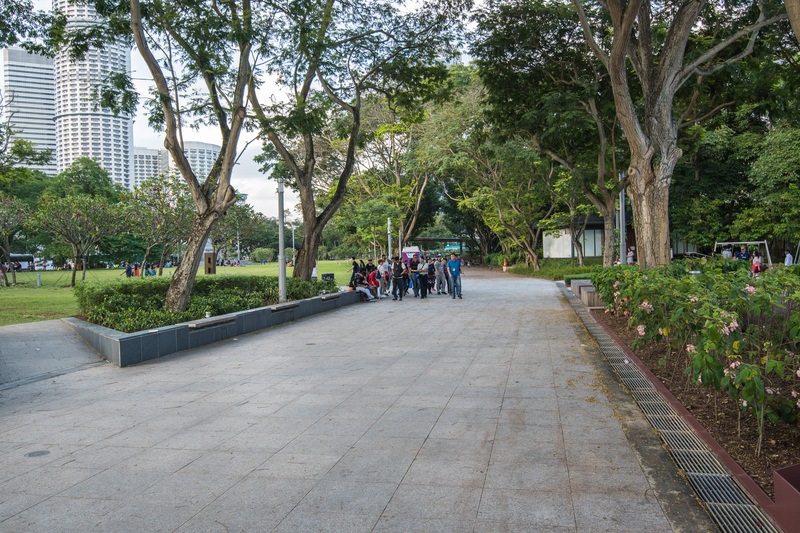 It’s surprising to see that Singapore actually has a large swath of green spaces even in the heart of the Central Business District. I wonder how many locals even know of their existence; from what I could tell, the people here were mainly tour groups or foreign nationals having a nice picnic on a warm, sunny day.